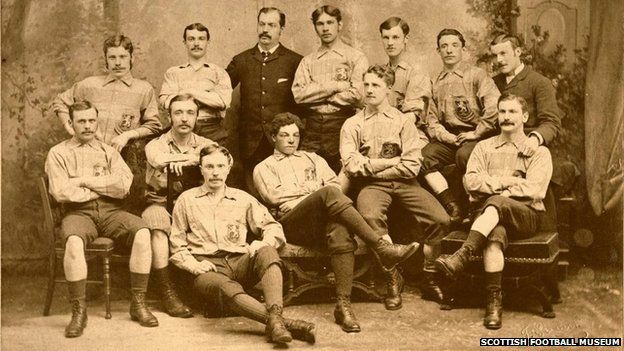 I did some research about the no-dark blue shirts which Scotland worn during the '800s. You have already helped me about the Lord Rosebery's colours. 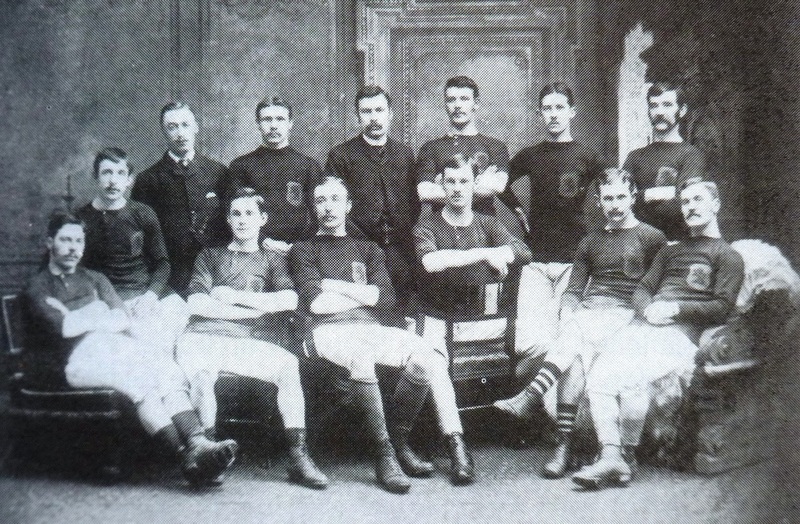 Now I have found on the site http://www.historicalkits.co.uk/interna ... -1939.html the news that Scotland wore a new jersey in the blue and white hoops of rugby team Edinburgh Academicals with the addition of a gold lion rampant in the match Scotland v England 5-1 on 11th March 1882. The fact is also confirmed from the site of Londonhearts in the match report by The Scotsman. 1- the description of the crest on the shirt is correct? Was truly a golden lion stitched on the shirt? Sorry, I can not exactly understand the explanations of the two sites. 2- Was there a special reason that inspired Scotland to wear that shirt ? So I will be able to add to my archive notes more detailed than I have now. I believe it is right to point out the so rare event of wearing a jersey with different colours from the official ones during the life of the team in the '800s. To me, it looks like a dark (?red) lion rampant on a light background, and it could well be that this colour was gold - but more likely it was just a bright yellow. The Scotsman is the only paper I can find which mentions the strip, and it describes it as 'a Scottish lion worked in gold as a badge'. Of course, without finding an original strip it would be impossible to be sure, but I suspect that 'gold' was a description of the colour rather than the material. The final thing to mention is the choice of blue and white hoops. Again, no idea why this was but I doubt if there was a genuine link to Edinburgh Academicals. 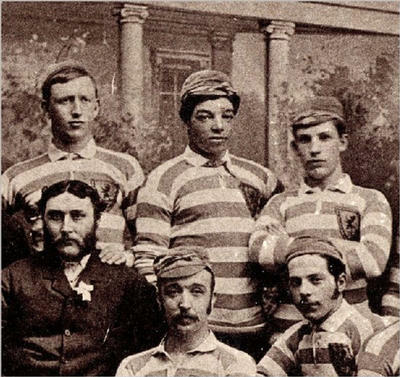 Note that Rangers also briefly adopted blue and white hoops later that year.